B2B Commerce businesses require a powerful platform foundation to support the increasing needs of their customers. With leading enterprise functionality and support for customization, Workarea is a leading choice for innovative B2B sellers. The benefits of foundational functionality across commerce, content, search and insights in a single platform allow our B2B customers to provide a rich, differentiated buying experience. The latest product release includes core B2B Commerce functionality to support advanced buying use cases for business customers. B2B buyer organizations can be modeled in Workarea with the addition of Buying Organizations, Accounts and Customer hierarchies. In addition, users can be assigned Roles corresponding to their contribution to the B2B buying workflow, including Account Administrators, Approvers and Shoppers. Order approvals, as well as payment and shipping conditions can be configured on an Account basis. 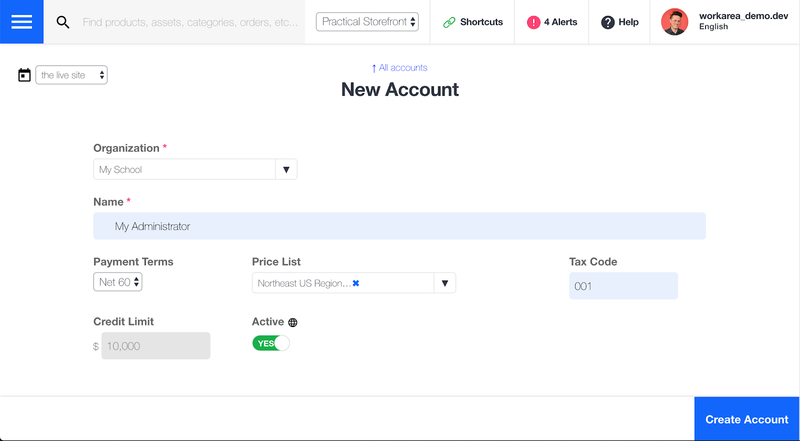 This product release offers new Workarea Admin interfaces for configuring this logic, as well as Workarea Storefront additions to allow for end user B2B Account management. Price Lists can be managed and assigned to each B2B Account in Workarea. This product release supports a flexible pricing model across the entire buyer journey where pricing is displayed to the shopper; including search results. Payment Terms can be established on a per Account basis in the Workarea Admin where administrators can manage credit limits and balances. B2B shoppers can use account credit for full or partial order payment. Pricing Quotes and the associated buying and approval workflows are included in this product release. This includes updates to cart and checkout as well as CSR screens and alerts for the business. 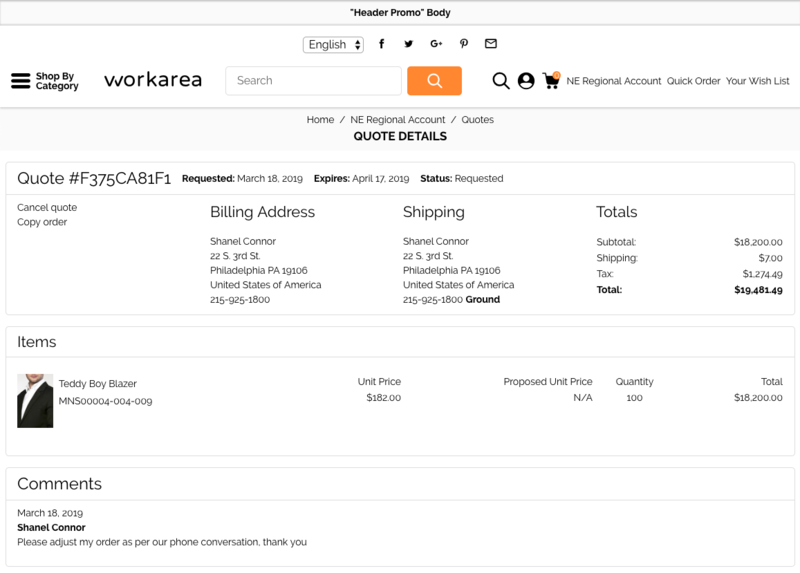 Large B2B orders are easily accepted via new Catalog Quick Order forms and SKU CVS import tools for bulk addition of items to the cart. This product release also offers new Storefront enhancements to allow for ease in displaying and purchasing products with a large variety of variants. For ease of reordering historical purchases, order history views give the buyer the option to edit and reorder a prior purchase. 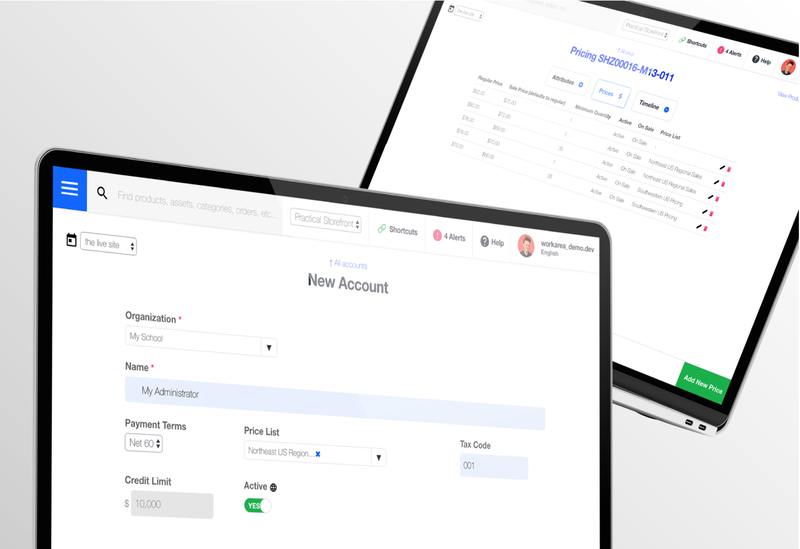 For B2B sellers embracing ecommerce selling across one or more channels, the Workarea B2B product release provides both an admin-friendly user experience combined with the robust capabilities you’d expect from a B2B enterprise-grade platform. If you’d like to explore how Workarea B2B can enhance your organization’s ability meet growing customers demands, provide a solid ecommerce foundation or growth online revenue, schedule a B2B demo today.